Individuals generally come to our unit for care when their behavior has become problematic or unsafe at home, when there is a family dispute, when substance use is a severe issue, or when they are experiencing their first psychotic break. In general, we treat individuals who are experiencing depression, anxiety, bipolar disorder, borderline personality disorder, first-break psychosis, and/or co-occurring substance use, just to name a few. 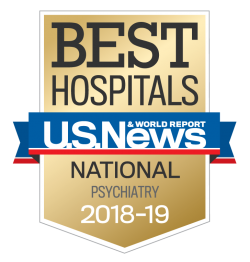 We know this can be a scary time and cause increased anxiety for patients as well as their families and friends, and for many, this is their first hospitalization due to a mental illness. Our experts are here to help, and serve as a source of guidance and comfort.